Italy: the country of art, architecture, food, fashion, and nature. This country is one of the world’s most popular destination for tourists from all over the world. 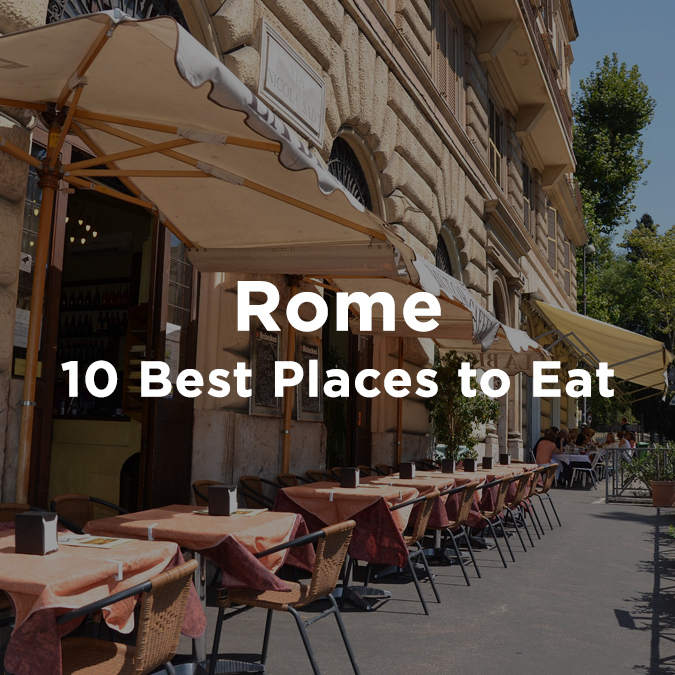 We will take you over the Top 10 Places To Visit in Italy this Summer 2017. One of the Top 10 Places to Visit in Italy This Summer 2017, is Tuscany. Head to this beautiful city and enjoy the beautiful and artistic heritage of Italy that locates itself in the centre of the country and stretches itself to the Tyrrhenian sea. The spectacular nature plays the main aspect of the beauty of this province. Starting from the coast that alternates the long and the sandy beaches, like the Versilia Beach along to the rocky cliff and steep headlands. This beautiful island surrounds itself by the Mediterranean vegetation, a crystal clear sea and rich sea beds, are priceless. 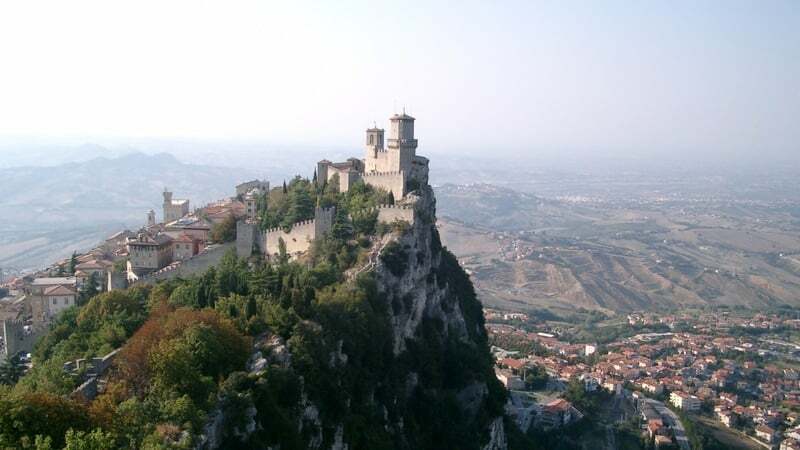 Tourists also get to admire the scenery of the uncontaminated nature in the Apuan Alps. Furthermore, there are several areas that protect or become a home to many species of migrant birds, including Pink Egrets. As a matter of fact, your trip to Italy would be undoubtedly incomplete without visiting this Tuscany and adding it to the Top 10 Places to Visit in Italy this Summer 2017. Mount Vesuvius, a volcano near the Bay of Naples in Italy. It is thousands of years old. Its most famous eruption had taken place in the year 79 A.D. The volcano was successful in burying the Ancient Roman city of Pompeii under a thick layer of volcanic ash. How interesting? Furthermore, the dust had been across the land like a flood and it led to darkness. that turned the place into a shadowed area. Actually, everyone interested in history should pay Pompeii a visit to live an ancient story within this city. Besides this, the buildings, artefacts, and skeletons left behind in the city teach us a great deal about everyday life in the ancient world. Pompeii, today has been there for almost three centuries. Scholars and tourists remain just as fascinated by the city ever since the 18th century. Therefore, if you are planning to visit Italy, Pompeii should definitely be on your list of the Top 10 Places to Visit in Italy this Summer 2017! Aside from history, don’t forget to discover the beauty side of Italy. And add Lake Como as one of the Top 10 Places to Visit in Italy this Summer 2017. This lake is considered as the main destination for travellers, lovers, and philosophers who would give some time for meditation and imagination. Lake Como is over 20 miles long the Como, the main city to one end of the lake. It is known as one of the deepest lakes in the world with 1,345 ft depth. Moreover, you can crawl to the centre of the lake and pay a visit the three famous towns of Varenna, Maenaggio and Bellagio. They form the golden triangle centre to the lake with mountains rising all around. Since you are in Italy, you should with no doubt give your senses another taste. 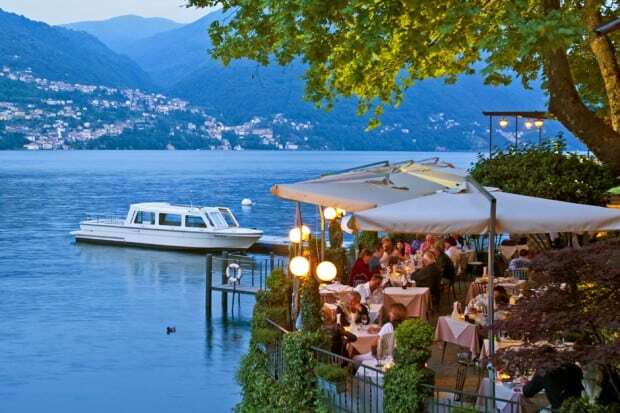 Crotto dei Platani Restaurant is located on Lake Como with a spectacular view and an amazing environment. Aside from that, this restaurant is now with its delicious Italian cuisines that will make your experience unforgettable. Moreover, there are regular boat rides from the restaurant. Which will take you around the famous Comacina Island and Villa Balbianello. On the other hand, you and your partner can request a private boat trip for a romantic ride on the lake. The restaurant also provides Boat Docking area where people get to arrive in style and moor their boat while they dine. Furthermore, water taxi service is available for pick up and drop off to the hotel. Now, who wouldn’t want that? For many of those who love the combination of sun, sea and entertainment must choose the Romagna Riviera as one of the Top 10 Places to Visit in Italy this Summer 2017 and many more summers to come! This place has the longest beach in Europe. It is also the place where tourists can enjoy sports and other activities. Towns such as Rimini, Riccione and Cattolica are highly recommended for tourists emphasizing relaxation and fun. Furthermore, from the coastline, the most ravishing scenery of the Apennines, makes the region ideal for horseback riding or trekking in the region between Parma and Piacenza. In addition, we also recommend you to visit the magnificent park and the wonderful nature reserves. The variety between the mountains and sea provides the visitors with some breathtaking views. In addition to the most beautiful and mind soothing view, the aromas and the fresh sea air also adds on to the beauty. Hence this is one of the ideal location to be at if in Italy. Naples is known as one of the most dynamic cities in Italy. Scooters whip by with too many passengers, horns going right into the skies and the cobbled streets hurry away your bearings. As a matter of fact, the best way to get a grip on Naples is to spend time on its streets. Street life is vital to Neapolitans—it’s not rare to see groups of boys of all ages kicking around a soccer ball or clusters of people sitting in chairs on small side streets. The street side food is something that is loved by everybody both locals as well as the tourists. 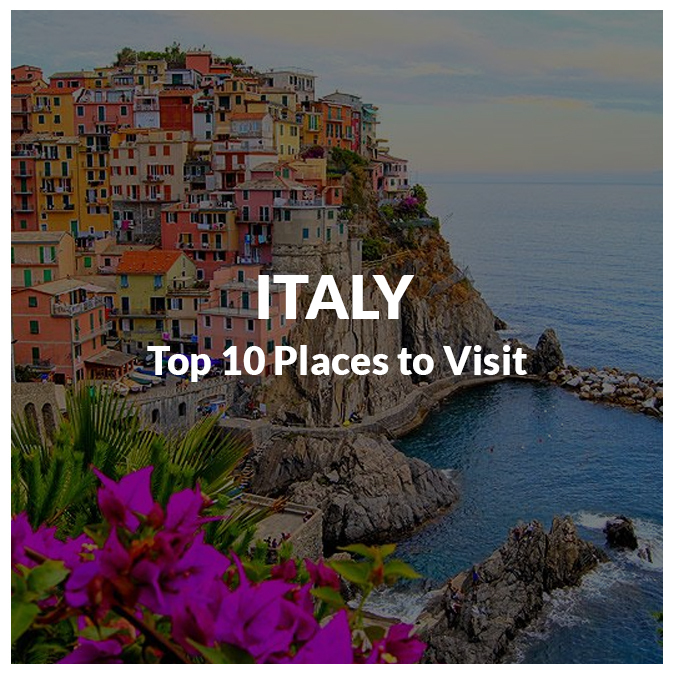 Therefore, apart from all the heavenly and stunning views of Italy, do make sure that your Italy trip has the Neapolitan streets included in the list of the Top 10 Places to visit in Italy this Summer 2017. Rome, the eternal city. The city of love and art. Everyone calls it so because the ancient Romans thought that even if the whole end Roman Empire would never end. Rome contains history and discovery of around 2500+ years. Vatican Museum: Few of the worlds most important relics such as the Sistine Chapel that locates itself within Vatican Museum. A guided tour here is worth every Euro you spend. Sistine Chapel: It situates itself within the Apostolic chapel, within the residence of the Pope. Furthermore spending some time studying the Last Judgement on the altar wall. The Roman Forum: The Roman forum is the place where you can see the Roman ruins. It was once a marketplace and is still surrounded by the remnants of ancient government buildings. The Palatine Hill: This is where Rome began. Excavations show that people did live there since 1000 BC, and the ruins are still available. Make sure you don’t miss any of the above fascinating sights in Rome and to enjoy a trip of art in this ancient city. Alternatively, if you are looking into more a relaxing trip in Italy, think about Castello di Casole as one of the Top 10 Places To Visit in Italy this Summer 2017. It is located in Tuscany the central of Italy and it has 4 Leisure annual World’s Best awards claiming it to be the best resort in Europe. Guests and Tourist of this resort define the hotel as excellence. Their rooms and facilities, location, service, restaurant and food, and value. Furthermore, the resort boasts more than 100 acres of vineyards and olive groves too which makes it even more stunning. The resort also includes other services such as a model game reserve, a state-of-the-art wellness centre and spa, an infinity pool that overlooks the serene countryside, and some of the region’s finest cuisine. Additionally, Guests and owners enjoy activities ranging from Italian and painting lessons to guided vineyard tours and truffle hunting adventures, as well as spa treatments among the olive trees. Ravello is a small village that sits back from the coast, placed atop a cliff overlooking the sea. Moreover, many visitors stop only during the day since there isn’t direct beach access, allowing those who do stay to enjoy peaceful evenings with few crowds and spectacular views. 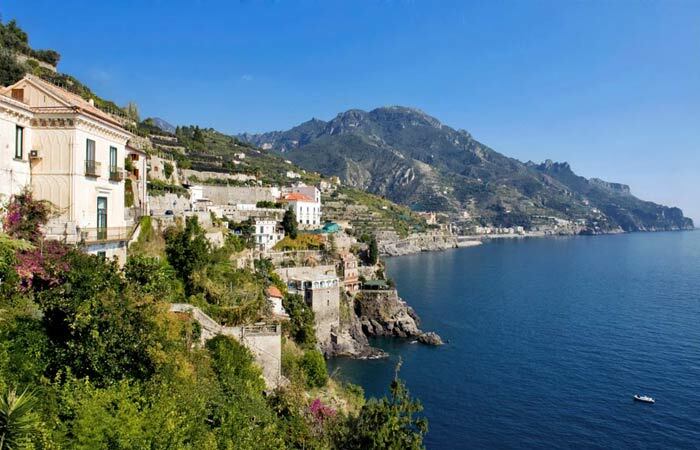 Never the less, Ravello is one of the most romantic destinations along the coast and a common choice for those who want all the glamour of Positano and Amalfi without the crowds. This is surely the destination if you are looking forwards for a peaceful and calm holiday. Nevertheless, Ravello is a great destination for couples where everything around you is calm and relaxing and furthermore you are surely surrounded by heavenly scenery. With no doubt, the floating city Venice is one of the Top 10 Places To Visit in Italy this Summer 2017 and any other summer to come. Take a night ride on the number one Vaporetto in Venice. This water bus runs along the Grand Canal. No matter how many times you visit Venice or ride a gondola, the experience is unique every time. Make a trip on a full-moon night, and the whole scene will twinkle. Moreover, Riding in front always offers you the best views, as you will be able to snap the best pictures of your journey that you will cherish all your life. However, during summers the Vaporetto has a lot of gathering, so the front seats would be at a premium. Furthermore, during high tourist season, travelling from one place to another is going to take a lot of time. The reason being that the Vaporetto is going to have a lot of crowds. However, a night ride in the Vaporetto is worth all your effort for its heavenly offerings. Hence the Vaporetto ride should surely be on your list on your trip to Italy. If you have anything to add, leave a comment in the box below! 🙂 Grazie! If you’re planning a trip to Italy soon, make sure to check our competitive rates for car rentals worldwide. Enter your details below, compare, choose and book! Thank you Dear! Glad that you liked it! I really appreciate your writings. You have perfectly explained all the details of the topic.